Now that we’ve got the Pinterest basics out of the way, it is time to start pinning strategically. The best place to start is to decide what your Pinterest goals are. What do you want to achieve through Pinterest? 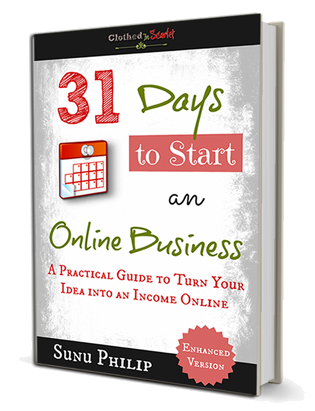 For the purpose of this series, the obvious goal is driving more traffic back to your website. 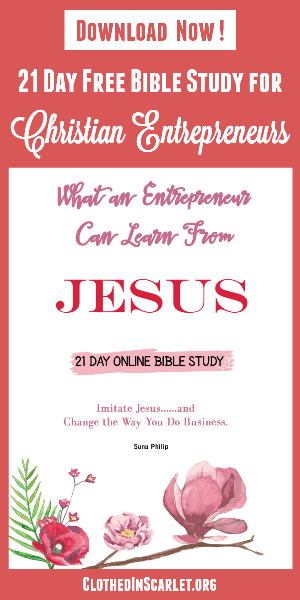 But you can also make a note of additional goals such as branding, proving your authority, increasing your fan base, or showcasing your products. 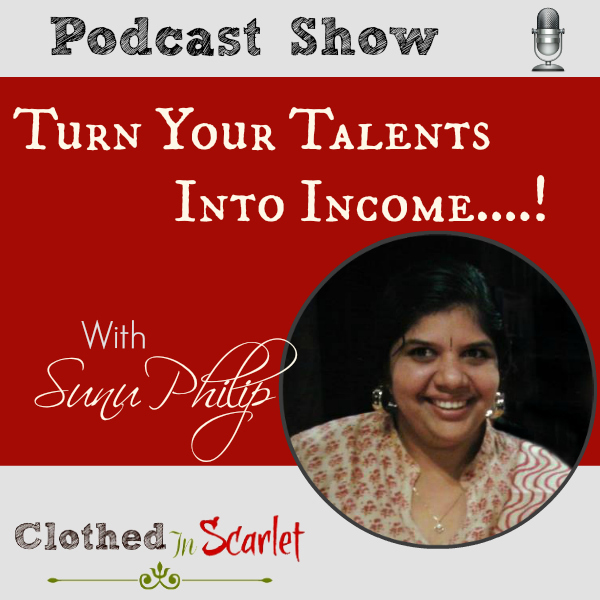 You might also want to take a look at my podcast on how to create your own Pinterest strategy. Moving on to the actual pinning itself, ask yourself this question: What will my followers get out of following me on Pinterest? The key is to offer your followers substantial help through your individual boards and pins. Try to collect resources that would benefit your followers; give them what they’re looking for. You know, I don’t have as many followers on Pinterest as other big players out there. As of today I have only 934, so I’m also learning as I go. But one thing I’ve done is create boards that my followers would find helpful, such as, free image sources, blogging tips, online business ideas, etc. 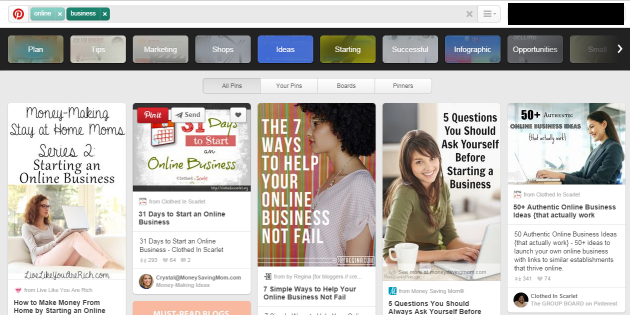 The first two rows of boards on your Pinterest profile should revolve around your brand/business, and what you provide. It should contain mostly your content, but can also have a few good pins from other reputable sources. What Kind of Images Should You Pin? Pinterest is a visual medium. It is your images that urge people to repin your pins, or visit your blog to read the full content. 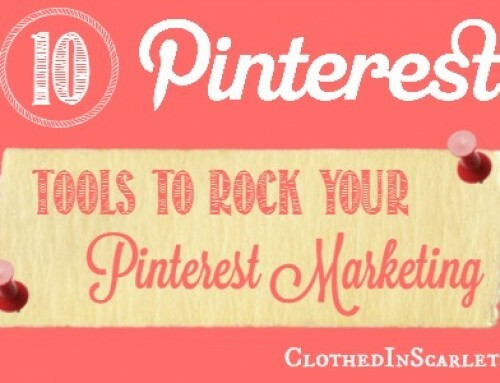 You pins need to be visually appealing, grabbing the user’s interest and attention. 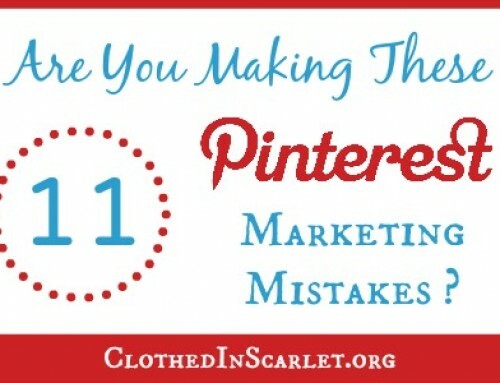 Make sure the pins you share have images that are of fine quality and look professional. From my experience, the images that get more repins are not at all boring- they have flair. If you really what to succeed on Pinterst, your images should be top quality and stand out among the others. I am not saying this to discourage you. I am not a graphic expert either, but it is a skill that is well worth learning. I have a graphics folder on my computer just for inspiration. When I see an image that is pinned a lot, I save it onto my computer and use it to inspire my next graphic creation. I’m not asking you to steal someone else’s image, but rather get the feel of it, and use it to inspire your own creations. You can also search for related images on Google, and use them as inspiration. 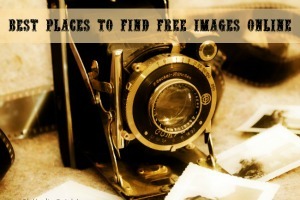 If you’re looking for some good quality images, here are some free image sources I recommend. If you don’t mind spending some money on your images, I’ve also used Dollar Photo Club in the past where you can get stock photos for as low as $1 each. Be sure to check out all the PicMonkey resources I’ve shared so you can take advantage of all the features that PicMonkey has to offer. 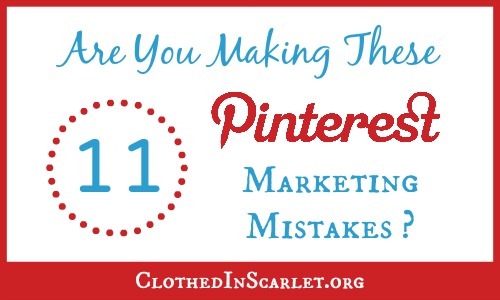 When it comes to the size of your image on Pinterest, please do not go with a horizontal image – they don’t do well on Pinterest. Choose rather a vertical image, or at least a square image of size 600 x 600. Basically, the length of your image should be greater than it’s width. 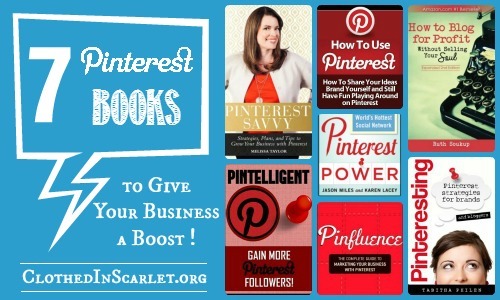 Here is an article on the perfect Pinterest pin size for your reference. If your article is a DIY guide, a recipe or a step by step tutorial, try to include pictures of the entire process in a single image. It’s the same with printables too. 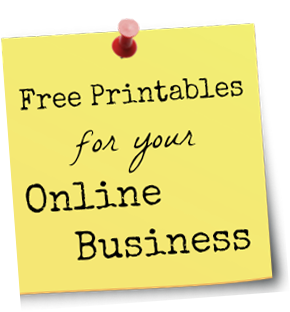 When your readers see all the pages of your printables on one pin, they are more likely to repin it or click through and visit your site. 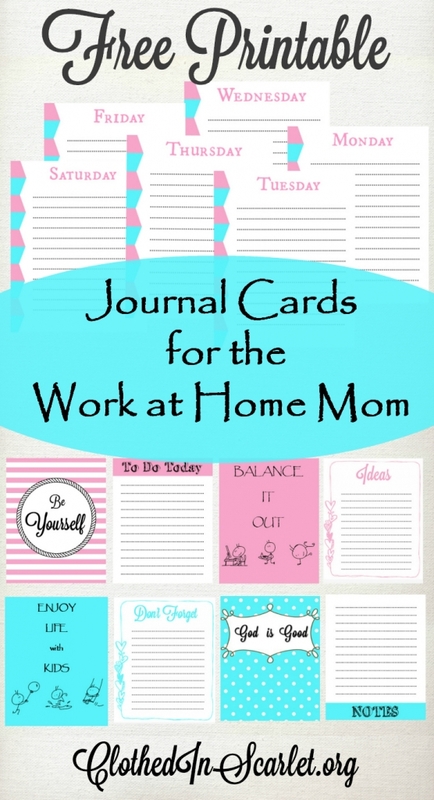 You can see how I did it here in my Printable Journal Cards for the Work at Home Mom that currently has 400 repins. Pinterest is all about inspiring people through images. 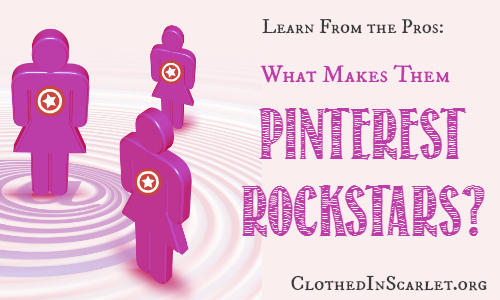 So make sure your pins are bright, inspiring and helpful and they’re sure to gain traction on Pinterest. To start off, pin at least twice or thrice a day, with a maximum of 10 pins at a time. You will have to play around till you find the optimum time with most engagement from followers. 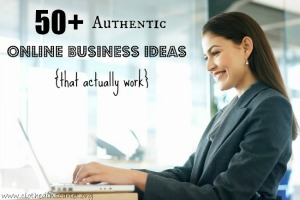 Ideally, you should be pinning 40% of your own content, and 60% from other sources. 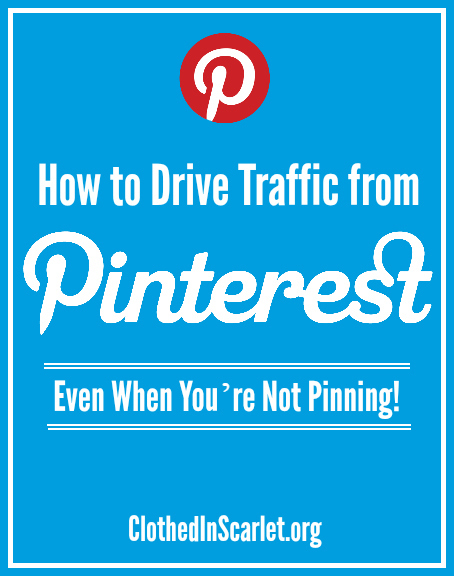 How to Drive from Pinterest Traffic Even When You’re Not Pinning (Or How to Pin)? Yes, it’s possible! When you follow this set of simple tips, there is a high chance that some of your pins might take a life of their own. Let me give you a couple of examples. Example 1: If you search for “Marriage Printables” on Pinterest, here’s what you’ll find. The third pin in the search results is actually one of mine – something I pinned 14 weeks ago. Example 2: And if you search for “Online Business”, you will find another one of my pins in the top row. This one was actually pinned 24 weeks ago! And the best part is, for both the examples mentioned above I still get repins, even though I haven’t done anything much since then. This is possible through Pinterst SEO. 1. Ensure that the file name of the image on your website has the keyword. 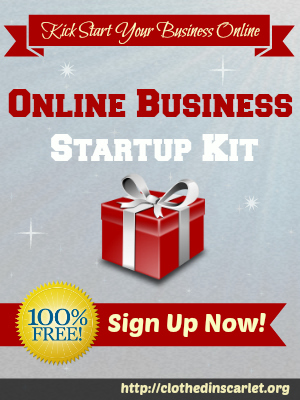 In the second example, my image file name was “online-business-ideas.jpeg”. When you use proper file names rather random characters, there is a higher likelihood of it coming up on Pinterest searches. 2. Make sure the title of the post on your website has the main keywords. 3. Include keywords in your pin description, but make sure it is still readable. Hubspot recommends that you should keep it between 100 – 200 characters. You can also include your keywords as hashtags in the description. 4. Ensure that the image on your website has the keywords in its alt tag. Here is a screenshot of such a pin! The popularity of a pin also depends on the number of existing repins it has. So, if you have a really good pin, ask your friends and followers to repin it for additional exposure. 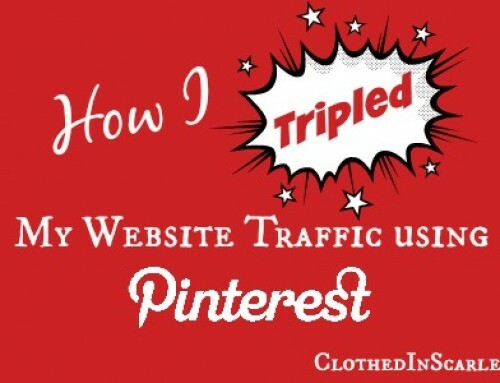 If you can manage to get at least 30 repins on a single pin, there is a higher chance of it getting picked up by the Pinterest search algorithm. More interaction (likes, repins, comments, and click throughs) means more chances of getting to the top of related Pinterest search results. To wind up, here are some basic rules you will have to follow while using Pinterst. Always check that the pin links back to the original site even when you’re repinning it. 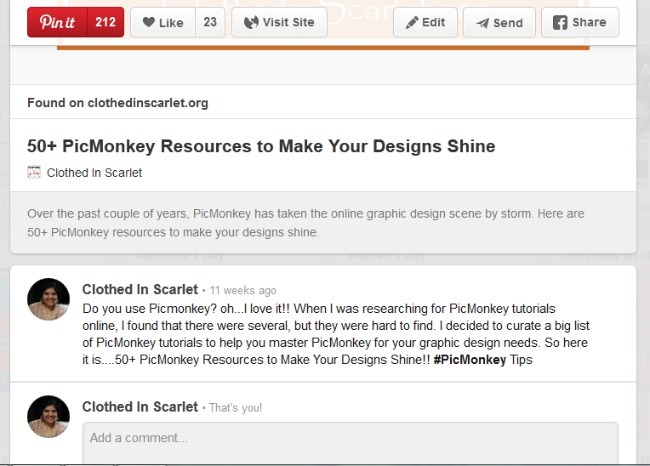 Interact with others by liking and commenting on their pins. Take time to thank those who repin your content. Keep your comments positive and respectful. You don’t have to follow all the boards of your followers, but you can follow at least a few of their boards back. 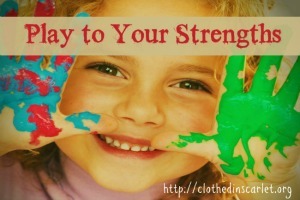 Don’t use others’ images to pin your content. Don’t pin directly from search engine results. Don’t use someone else’s pin, and add your link in the description. That is just poor etiquette. Don’t pin the same pin to different boards at the same time. Your followers may think you’re spamming them. 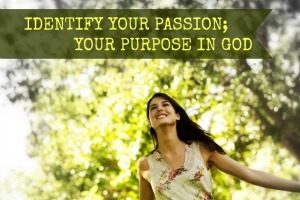 I hope this article has helped you go beyond the basics, and actually pin intentionally. 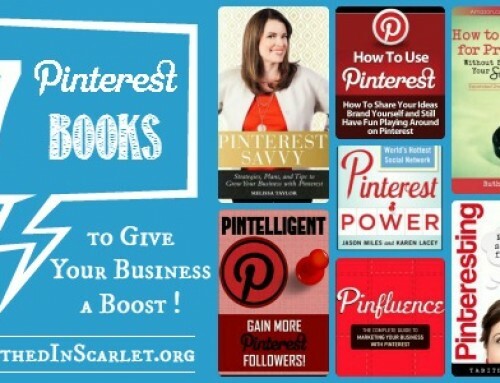 Today’s Challenge: I want you to finalize your Pinterest goals – short term and long term. Create boards that portray your expertise and place them on the top two rows (above the fold). 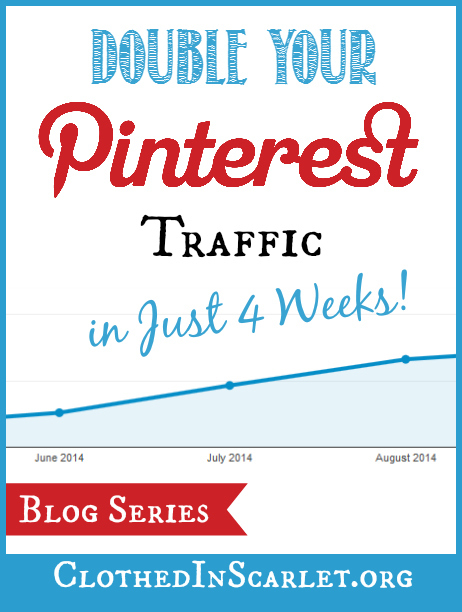 Pin at least 3 of your own content pieces following the Pinterest SEO tips I mentioned above. Then leave a comment below detailing your progress, and be entered to win one of two $25 Amazon gift cards! Ok, this is great stuff. I can do this. I love the inspiration to have goats paired with a do-able strategy. Today I will be working specifically on the top two rows of my boards and making them my personal expertise boards. I love the idea of a Graphics File in my computer to keep track of images that are popular to help inspire me for future ideas. I will probably have to read this post over a few times to let this sink in, but I am determined to make my time spent on-line worth it. I don’t want to fritter away time anymore. Thanks for the strategies! Ok Sunu, I am laughing at my last comment … I actually said I “love to have goats paired with a do-able strategy” … ha ha ha! GOALS, I meant GOALS! It’s going to be a fun day around here! You gave me a lot to think about. How much time do you spend a week with your Pinterest tasks? Dana, it depends mostly on my client projects. Some days I am able to spend more time, some days less. 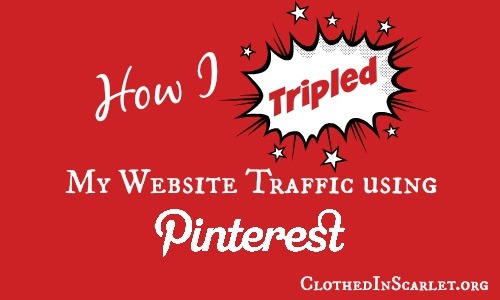 I try to spend at least 20-30 minutes pinning! Well, there are days when I don’t get any time to pin!! I just try my best! Okay. This is great advice. I need to reorder my boards. Most of the ones at the top are just recipes to try and nothing really to do with my blog. 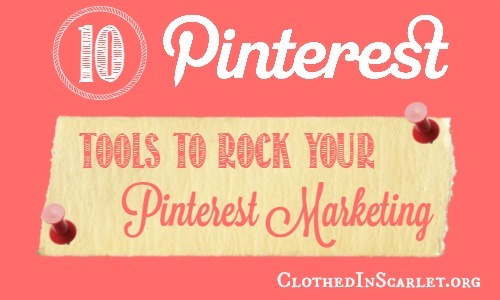 Thank you for this tips, I will take some time to really think about what goals I want to have with Pinterest. I have saved this post and will use it as a guide when I’m pinning. 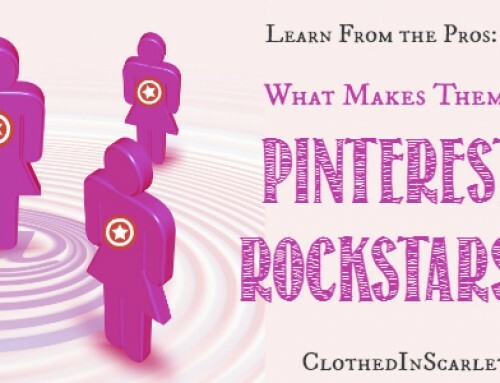 Wow, I had no idea Pinterest was so deliberate.I am learning a lot from these posts andI’m really looking forward to putting them into action when my blog is up and running.